The short summer is big for those who enjoy to put out feeders and draw in the active birds in the Great Lakes region. The ubiquitous robins have been around since mid-March and have feasted on insects and worms emerging from the frozen earth. 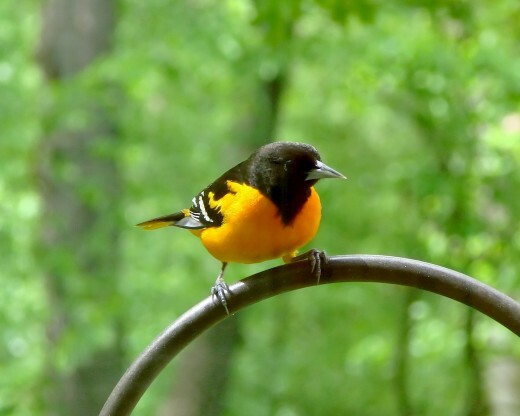 The next anticipated migratory bird to swoop in on the scene is the Baltimore Oriole. 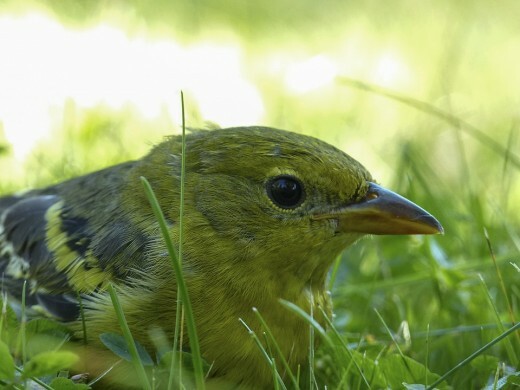 After spending the winter in Mexico, Cuba, and Central America, this migratory bird has been making his way to Canada, the Great Lakes, and New England regions since early March. Orioles are a bit smaller and sleeker looking than an American Robin, Baltimore Orioles are medium-sized songbirds with thick necks and long legs. Their long, thick-based, pointed bills is an ideal tool for raiding the hummingbird feeders. This long bill is a telltale sign that they belong to the blackbird family. 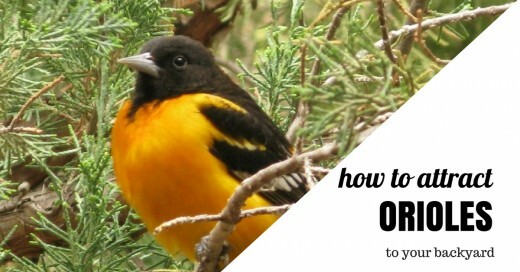 With a little persistence, you can attract orioles to your yard within a few weeks. By using these rules of thumb, you can have this colorful resident for the entire summer season. 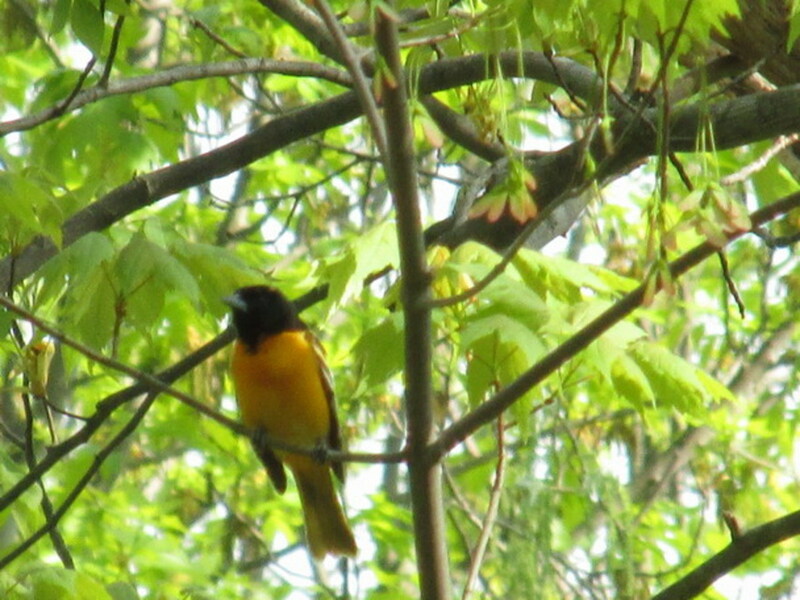 Orioles are attracted to bright, vibrant colors in a quiet setting with nearby trees and bushes to perch from. We found that having an orange feeder or using real cut orange halves draws the bird in for the feast. Set the sliced orange halves in a shallow bit of water to discourage ants. Replace the oranges daily. If you see black gunk form, clean off the area. Mold can be harmful to the birds. Our hypothesis is that Orioles have a great memory. One early spring, we spotted a small flock fly in and watch as we unpacked the car until the feeder was placed. 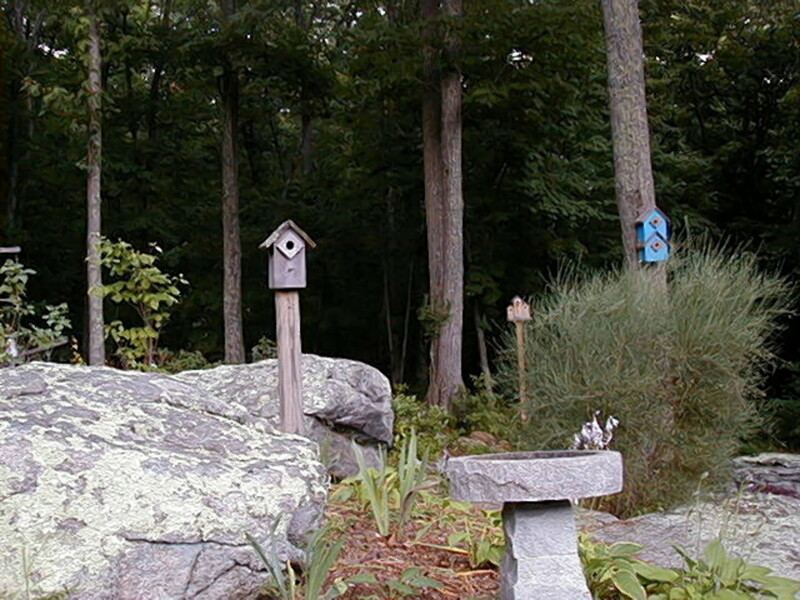 Placing your feeders out early will catch the early arrivals and may turn those passing through to seasonal residents. We have seen the most active oriole feeder posted on a pole in the middle of the yard. They like to swoop in, take a sample or two of the sweet nectar, and then fly off to a nearby perch to finish up, preen, and do it again. Add one cup granulated sugar to four cups of boiling water. Some experts recommend thinning the ratio up to eight parts water to 1 part sugar. A favorite alternative to nectar is to offer a small amount of grape jelly. A couple of tablespoons in an open dish or container it like ringing the dinner bell. You may see some aggressive behavior by the Orioles as they vie for feeding rights. You can make for an easier clean up by mixing a ¼ cup of water into the jelly. 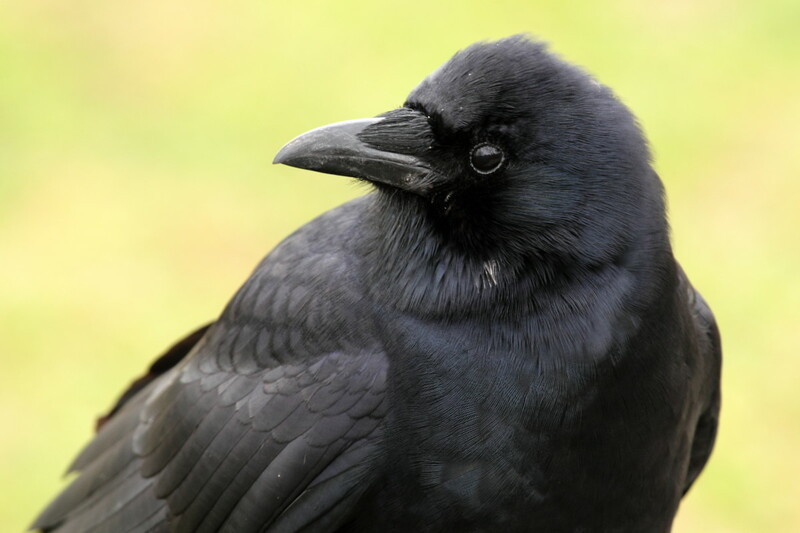 If you see black gunk forming around your feeder, take it in, wash it, and rinse it off. 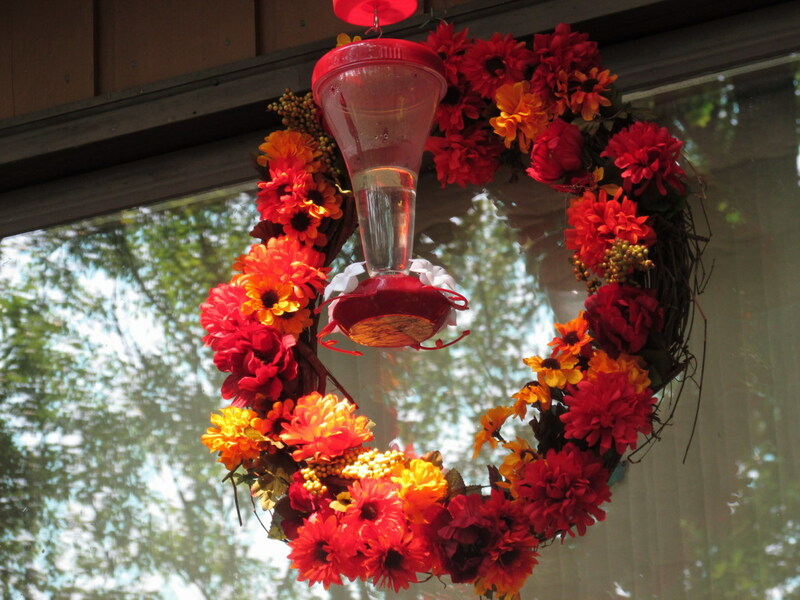 This advice holds double for hummingbird feeders. The sweet nectar will draw in ants and other critters. If you are lucky enough to see one of the small, grey sack-like nests in your yard, start offering mealworms. In the early summer, the birds crave the sweet from fruit nectar after their long migratory flight north. 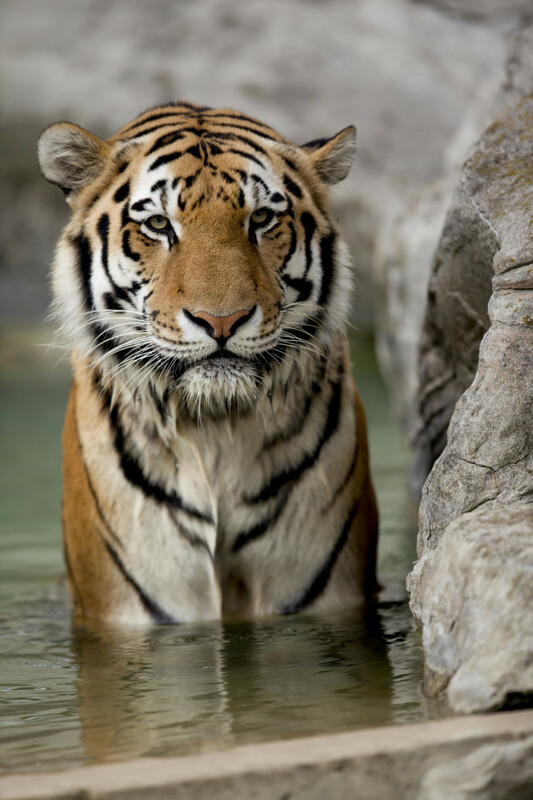 However, once breeding season starts, they will begin to seek out insects. Mealworms are a great high-protein food that will build them up for their next flight south. The bird won't reuse the nest, but they will recycle the material. 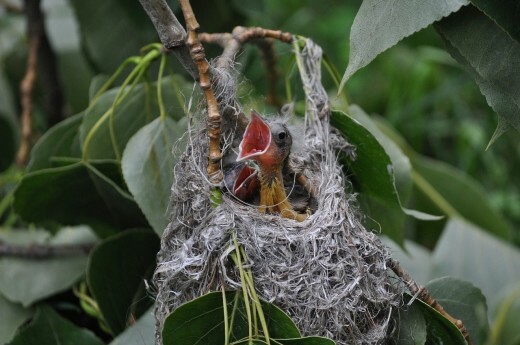 Orioles will set their nests out on slender, green twigs to discourage predators like raccoons. We found nests in small bushes from three to six feet off the ground. One suggestion that we have not tried is to offer lengths of twine fiber or horsehair. Sadly, we have seen small spreads of plastic wrap in one nest. 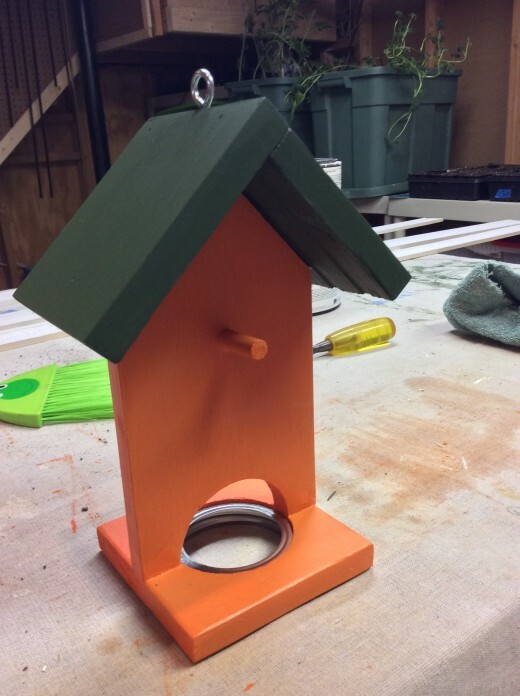 Do You Feed Hummingbirds and Orioles? Orioles are attracted to shallow, moving water. We have seen them attracted to a shallow puddle after a rainstorm. Select a wide shallow basin and add a bubbler or small pump to create water movement to attract the most birds. Keep the water clean. Bright colors will also draw their attention. Orioles are typically shy. They do not like a lot of traffic from humans or animals. Try to locate your feeder in an open area where it can be seen from the air and treetops. Placement in a high branch or on top of a pole is ideal. We had our very first Oriole yesterday. He was eating from our suet, so I put some orange out for him, and he did take a few bites of the half of the orange. Today I went and got a nectar feeder for Orioles, but I have not seen him today. I'm worried that he has left the yard. Is it common to see them once, but they still hang around the yard? Your oriole is likely scouting out the territory. Go ahead and place the feeders out. Try a small colorful bowl of grape jelly out on top of a post or even a picnic table. It's still a bit early, but if you have seen one, then others will follow. You may find woodpeckers and hummingbirds in your jelly offering. Thanks for stopping by. It must be so much fun to get to regularly see Orioles in your yard feeding and nesting during the season. They are beautiful birds. I would never have thought to feed them grape jelly. Do other birds like grape jelly as well? Cold weather & persistent flurries in Caseville are slowing spring bird arrivals. Tundra Swans are flying over in noisy flocks. But the Robins we’ve seen so far are wearing fleece.